Joe Belfiore, Microsoft’s corporate vice president of the Operating Systems Group, recently revealed on Facebook that he will be taking an extended leave of absence from the Redmond-based company. Belfiore said that beginning in January, he and his wife Kristina are taking their children on what he described as the educational trip of their lifetime. More specifically, the family will be enrolling in a Semester at Sea program alongside 600 college students and a handful of faculty and fellow lifelong learners. The executive said he and his wife have always tried to convey to their kids just how fortunate they are to live where they do and have the careers they’ve had. Such a trip will really help to put things into perspective and allow the family to soak in the most precious resource of all: time. 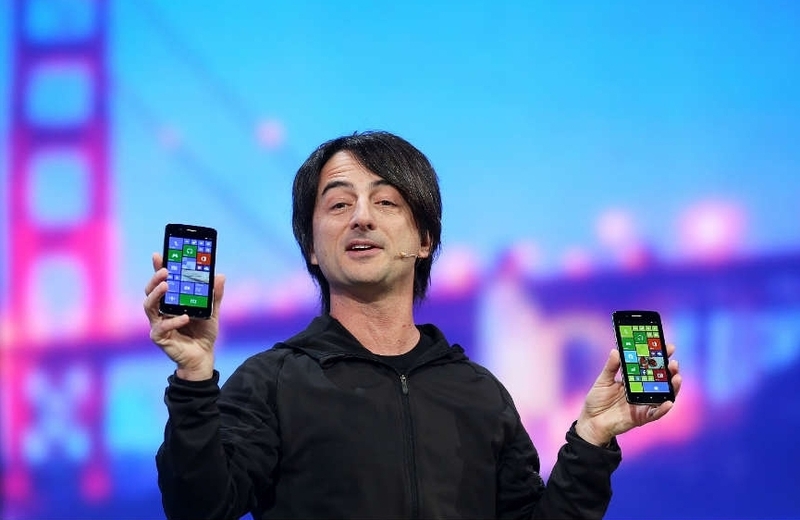 At the conclusion of the trip next summer, Belfiore said he plans to head right back to his usual job Microsoft. In the interim, he said he plans to chronicle his travels somewhere on the web (a blog, on Facebook, etc.). Belfiore has no doubt earned some time off work. He’s been with Microsoft for the past 25 years, most recently working on Windows Phone and helping to push Windows 10 out the door. A version of the operating system for mobile phones will be rolling out next month. Probably off hunting for a new husband,....or what do they call it...? I was going to say off hunting for a decent haircut. infiltrator and Lionvibez like this. Like a bald shave for a pinky wig? Maybe ruining away from all the Windows 10 problems. Come back next summer, and all the mayhem will be over. "the family will be enrolling in a Semester at Sea program". Maybe it's just a long winded way of saying they're going fishing. Maybe he's staring in a new Jaws movie? Its the trauma from that haircut it would drive anyone mental. I understand the break lol. That guy seriously need a hair cut, no doubt!